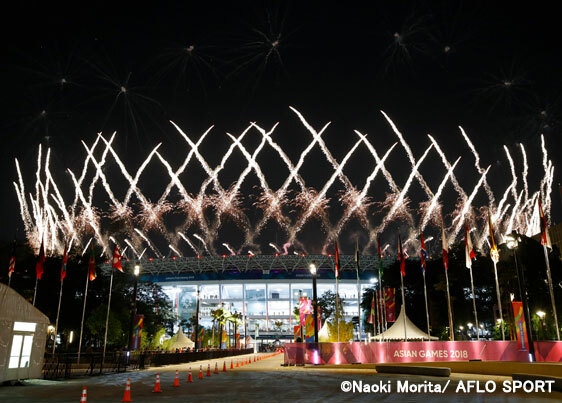 The Asian Games 2018 started on August 18th in Jakarta, Indonesia (Football matches have started on August 10th before the Games started). Six countries and regions from the EAFF are taking part in the competition, with both men's and women's teams representing them: China PR, Chinese Taipei, DPR Korea, Hong Kong,Japan,and Korea REP. 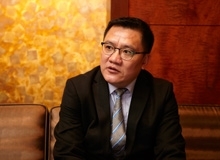 This article describes the teams of Chinese Taipei and Hong Kong. 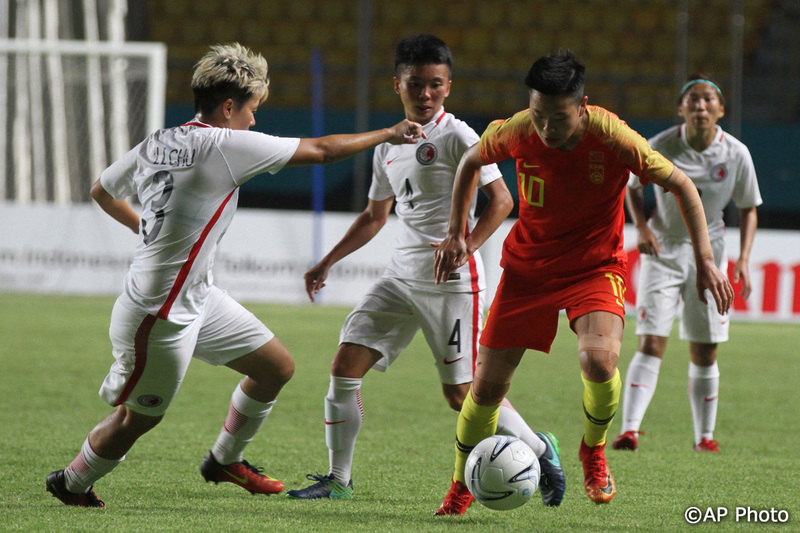 After doing well against Palestine with a scoreless draw, Chinese Taipei only managed to keep the score at 0–0 for the first half of the match against Indonesia, and ended up losing 0–4. Perhaps the shock of that loss led to another, against Hong Kong, with the same score: 0–4. 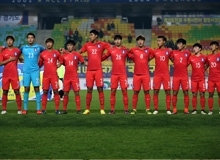 In its third match against Laos, Chinese Taipei was expected to win, however, the Laos scored in the first five minutes. A Chinese Taipei’s ball possession of 57% did nothing to help prevent the match from ending 0–2. Despite ending with one draw and three losses, this competition was no doubt a valuable experience for the Chinese Taipei national team. Hong Kong played four matches in the same group as the host country, Indonesia. The team won its first match against Laos 3–1, thanks to a goal by young ace CHENG Chin Lung, before going on to beat Chinese Taipei 4–0. However, after a draw against Palestine, the team ended up losing to Indonesia. The match started with a diving head goal by DF and captain LAU Hok Ming on a cross by MF, WU Chun Ming, but lost 3–1 at the end. Still, Hong Kong was first among the third-ranked teams in each group, and went on to the final round. They had a valuable experience playing against Uzbekistan, who won the previous AFC U-23 Championship and are the favorite to win the Games. 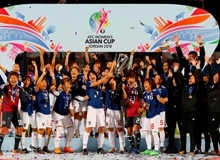 At the women’s soccer tournament of the Asian Games 2018 Jakarta Palembang, Japan took the gold medal, China PR the silver, and Korea REP. the bronze, but it was the women from Chinese Taipei who most surprised Asian football fans. 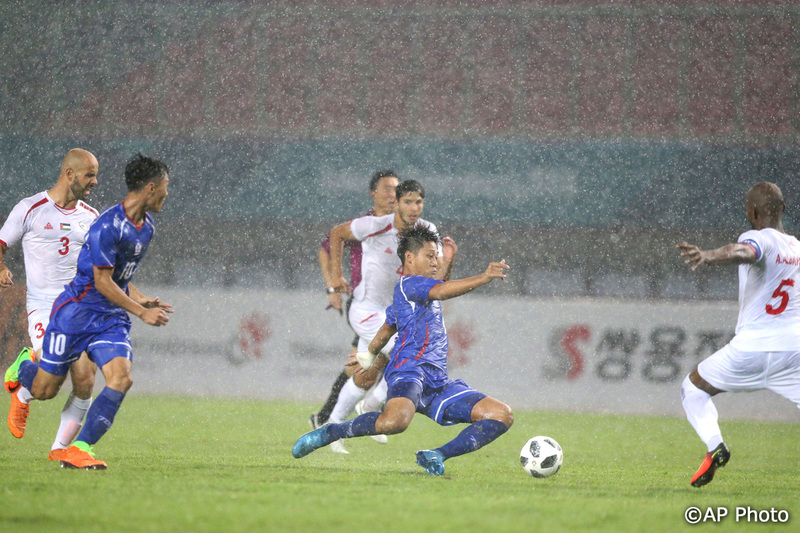 Chinese Taipei, with Korea REP., Indonesia, and Maldives in Group A, finished second place in the group stage, and faced off against Vietnam, the powerhouses of Southeast Asia in the quarter-finals. 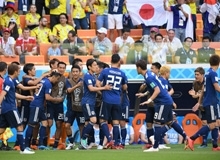 Despite conceding 22 shots on goal, they held out with some tenacious blocks and a string of fine saves from their guardian angel, TSAI Mingjung. With a score finishing at 0–0, they prevailed 4–3 on penalties to advance to the semi-finals. Chinese Taipei also resisted bravely in its semi-final against China PR. Against a barrage of 41 shots on goal, they managed to concede just one goal, at the start of the second half. However, unable to break down China PR’s strong defense, they were ultimately defeated. 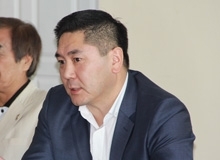 They also lost the third-place playoff for the bronze medal, by 0–4, but the fight they showed was commendable. 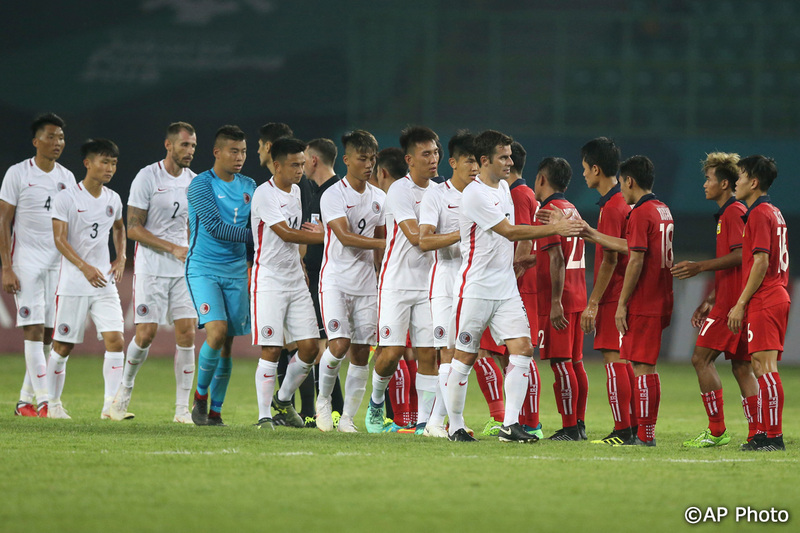 In the group stage, Hong Kong lost 0-7 to China PR and 0-8 to DPR Korea, but by beating Tajikistan 6–1, they were able to proceed to the quarterfinals as one of the best two third-place finishers. 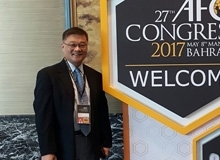 Their opponent in the quarterfinal match was Asia’s leading powerhouse, Korea REP. Although pinned back right from the early stages, Hong Kong put up resistance, including a shot from midfielder WAI Yuen Ting. However, in the 20th minute, the Korea REP.’s forward JEON Ga Eul headed in a cross from the left at the far post. JEON added another with a shot from mid-range after Hong Kong had lost the ball in their own half. They then conceded a third from a loose ball off a cross. 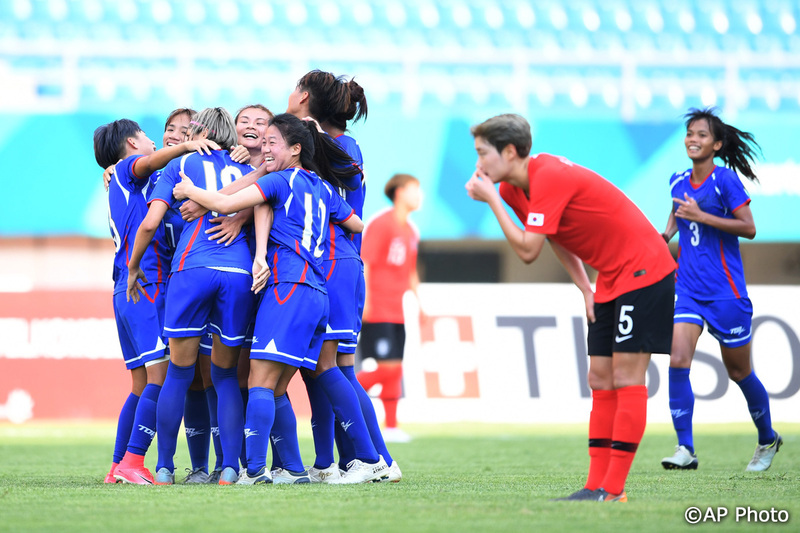 The Korea REP. added another two in the second half, and finished with a score of 0–5. Despite conceding 32 shots on goal, Hong Kong shows promise for the future.